Orange County Dog Bite Attorney | What Happens Next? After someone is bitten by a dog, what happens to the dog? What Happens to the Dog After it Bites Someone? 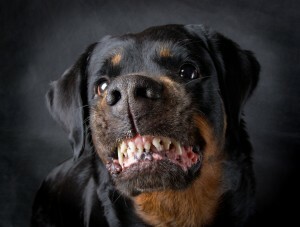 After a dog bite injury, the circumstances of the bite and the dog’s history, behavior, and medical condition will have a lot of bearing on what ultimately happens to the dog that bit you. In California, dogs that have bitten someone are monitored for aggression and disease after a dog bite report is filed with the police. This helps to protect the victim, the owner, and others who may be at risk because of a dangerous dog. The dog is generally held in quarantine at an animal shelter, veterinarian’s office, or the owner’s home for approximately ten days. If the dog continues to show evidence of disease or aggressive behavior, the dog may be kept in confinement for an indefinite period of time in order to receive treatment for any conditions. If the dog continues to show aggression or disease symptoms after treatment and care, or if it is determined that treatment will not resolve the danger, the dog may be removed to another location. If it is determined that the dog poses a danger to the public, and if confinement and treatment are unsuccessful or likely to be unsuccessful, the dog may ultimately be euthanized. If you have been bitten by a dog in Orange County and have questions about what happens next, an experienced Orange County dog bite attorney with Russell & Lazarus can help. Give us a call today at (800) 268-9228 to meet with us in a completely free, no-obligation consultation, or fill out the confidential online contact form on this page to learn more.